Global star EXO to stage their fourth World Tour “EXO PLANET #4 –The ElyXiOn–” in Singapore on 3rd March, 4pm at Singapore Indoor Stadium! sellers. They also performed hit songs such as ‘Growl’, ‘CALL ME BABY’, and ‘Monster’. 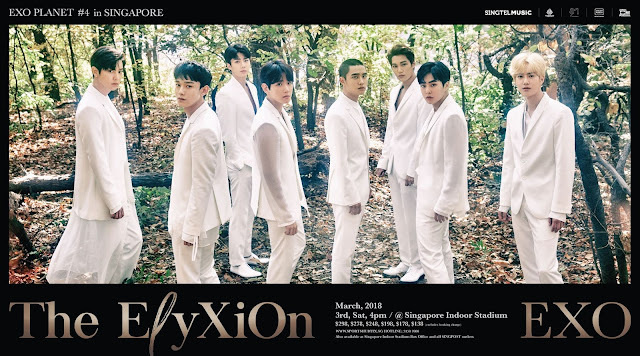 Audiences in Singapore can also look forward to enjoying these performances as well as special individual stages during the show here on 3 March! 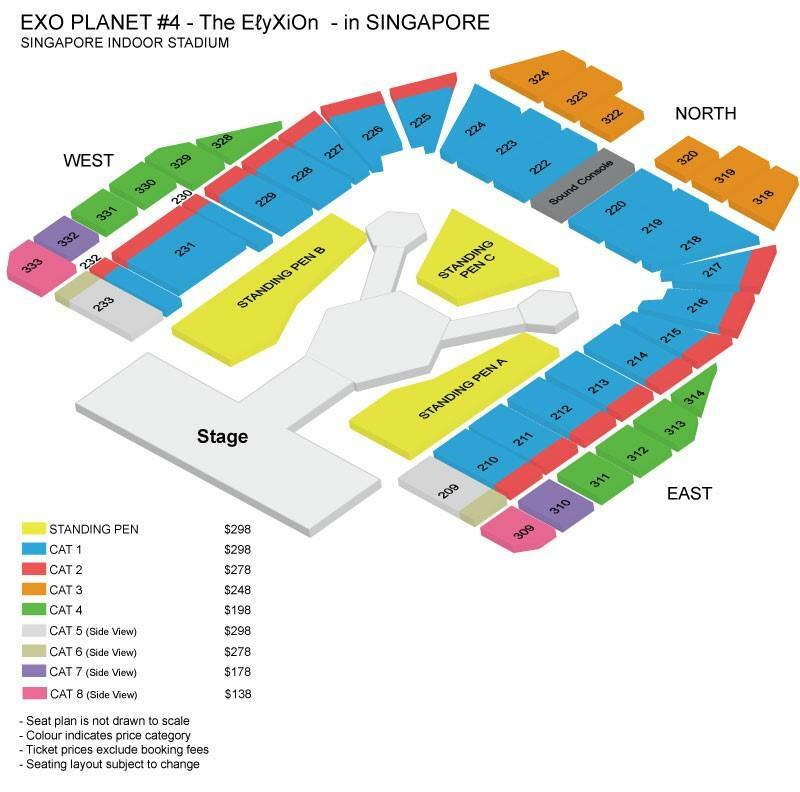 ‘EXO PLANET #4 -The ElyXiOn– in SINGAPORE’ will be one of the most exciting concerts of the year with an elaborate production including impressive staging with spectacular lighting and visual effects. This concert is definitely one not to be missed in 2018! Tickets are priced from $138 and will go on sale from 28 Jan, 12 noon through Sports Hub Tix. Singtel customers enjoy priority sales from 27th Jan 10:00hr to 28th Jan 08:00hr. For more information, please visit ONE Production Facebook.